Using a laser to drill through a plasma, scientists working at the Lawrence Berkeley National Laboratory in the US have set a new world record for plasma accelerators: In a plasma tube only 20 centimetres long, the scientists accelerated electrons to an energy of 7.8 billion electron volts (GeV), a value for which today&apos;s most advanced conventional particle accelerators require hundreds of metres. The team led by Wim Leemans, then head of the Berkeley Lab Laser Accelerator (BELLA) Center and now Accelerator Director at DESY, presents the novel concept in the journal Physical Review Letters. A plasma is a gas in which the molecules have been stripped of their electrons, creating a mix of positively charged molecules and negatively charged electrons. Particle accelerators are indispensable tools in many areas, from science to industry and medicine. Conventional accelerators use radio waves to push bunches of electrically charged particles like electrons forward faster and faster. The technique is very advanced and produces high-quality particle beams, but high energies require a lot of space and money. Laser plasma acceleration is a completely different concept. It uses an intense, high-energy laser pulse that ploughs through a plasma. Like a speedboat on a lake, the laser pulse creates waves in its wake. The electrons can ride these plasma waves like a wakeboard surfer rides the waves in the wake of a boat. Plasma waves can accelerate particles hundreds of times stronger than the best conventional accelerators. Although numerous challenges remain to be solved, the technique promises cheaper, dramatically smaller accelerators and novel applications. The more powerful the laser pulse is, the stronger the acceleration in the plasma. The team at BELLA shot incredibly intense and short infrared laser pulses, each with a peak power of about 850 trillion watts (850 terawatts) and lasting just 35 quadrillionths of a second (35 femtoseconds), into a 0.8 millimetres wide sapphire tube filled with hydrogen. The peak power is equivalent to lighting up about 8.5 trillion 100-watt lightbulbs simultaneously, though the bulbs would be lit for only tens of femtoseconds. “Just creating large plasma waves wasn’t enough,” noted Berkeley Lab&apos;s Anthony Gonsalves, lead author of the study. “We also needed to create those waves over the full length of the 20-centimeter tube to accelerate the electrons to such high energy.” To do this required a plasma channel, which confines a laser pulse in much the same way that a fibre-optic cable channels light. 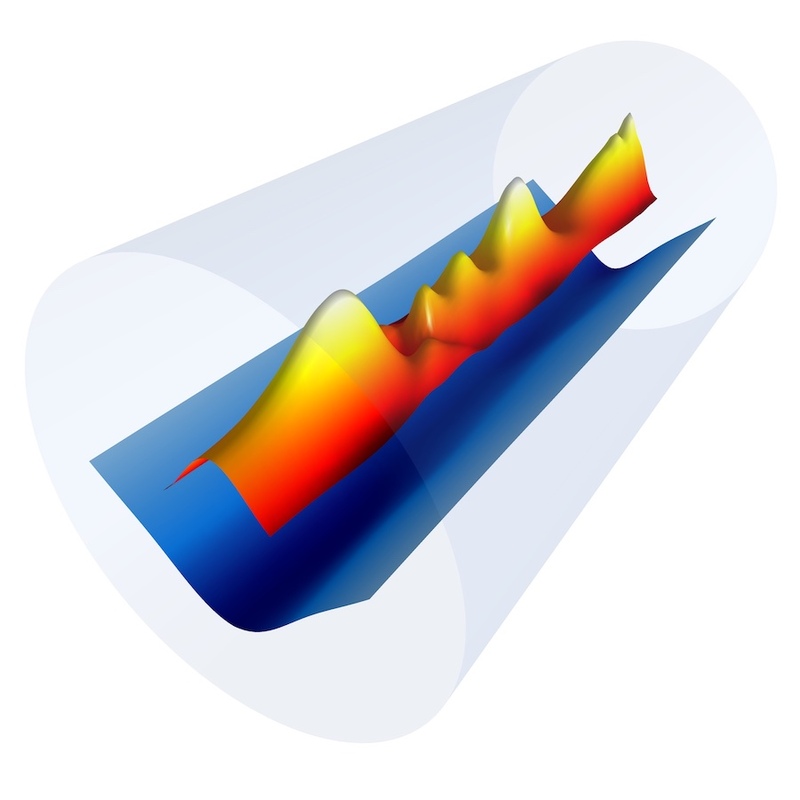 But unlike a conventional optical fiber, a plasma channel can withstand the ultra-intense laser pulses needed to accelerate electrons. In order to form such a channel, the plasma needs to be less dense in the middle. In an earlier experiment at BELLA that had set the former world record for plasma acceleration at 4.25 GeV in 2014 and was also led by Leemans, an electrical discharge was used to create the plasma channel, but to go to higher energies the researchers needed the plasma’s density profile to be even deeper – so it is less dense in the middle of the channel. 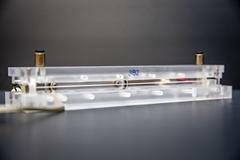 In previous attempts the laser lost its tight focus and damaged the sapphire tube. Gonsalves noted that even the weaker areas of the laser beam’s focus – its so-called wings – were strong enough to destroy the sapphire structure with the previous technique. The solution of this problem was inspired by an idea from the 1990s to use a laser pulse to heat the plasma and form a channel. Leemans realised that such a laser could be combined with the discharge. 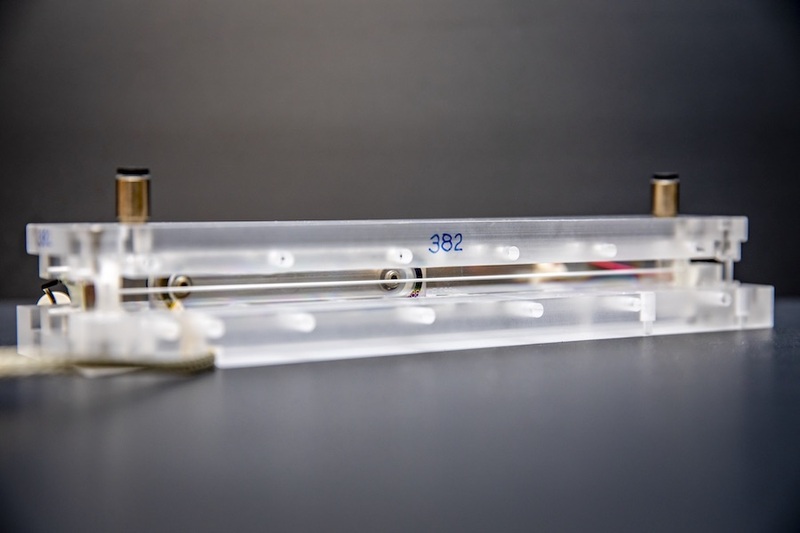 If the laser is fed into the tube right after the discharge, it drills through the plasma to form a deeper channel that is able to confine the laser. Experiments and theoretic modelling of the process, performed by Leemans&apos; students and co-authors of the paper, Joost Daniels and Chris Pieronek, among others, showed that a laser pulse of 8 nanoseconds (billionths of a second) duration, shot through the tube exactly 420 nanoseconds after the electric discharge could drill the optimal channel for the laser pulse driving the acceleration. The combined technique radically improved the confinement of the laser beam, preserving the intensity and the focus of the driving laser, and confining its spot size, or diameter, to just tens of millionths of a metre (micrometres) as it moved through the plasma tube. This enabled the use of a lower-density plasma and a longer capillary. The previous 4.25 GeV record had used a 9-centimeter capillary. With a 20-centimetre capillary the team now achieved an energy of 7.8 GeV. The team needed new numerical models (codes) to develop the technique. A collaboration including Berkeley Lab, the Keldysh Institute of Applied Mathematics in Russia, and the ELI-Beamlines Project in the Czech Republic adapted and integrated several codes. “These codes helped us to see quickly what makes the biggest difference – what are the things that allow you to achieve guiding and acceleration,” said Carlo Benedetti, lead developer of one of the codes at Berkeley Lab and also a co-author of the paper. Once the codes were shown to agree with the experimental data, it became easier to interpret the experiments, he noted. “Now it’s at the point where the simulations can lead and tell us what to do next,” Gonsalves said.